Babaroni appeared in public view with modern shopping concept, online dress shopping is great for those with busy schedules since it saves a lot of time and you can shop while in the course of the journey. We aim to provide customers high-quality dresses and the best service with the most affordable prices. Everyone can order dresses on our platform according to their own preferences and sizes. We will try our best to satisfy all your wishes. 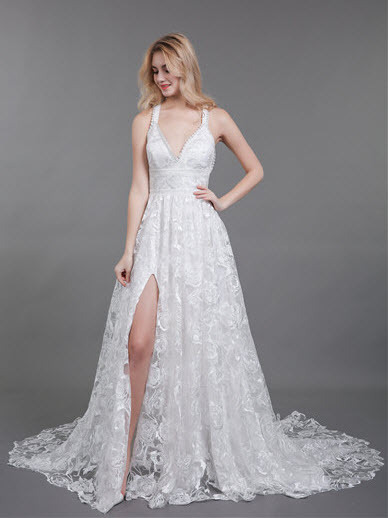 Our brand focus on the quality and details of the dresses, our ultimate goal is to provide clients with high-quality, well-designed products and professional customer service. We will tailor the best dresses for you while satisfying your desire. Whether it's cutting or decorating ,whether it is a standard size or custom size, our tailors will spare no efforts. 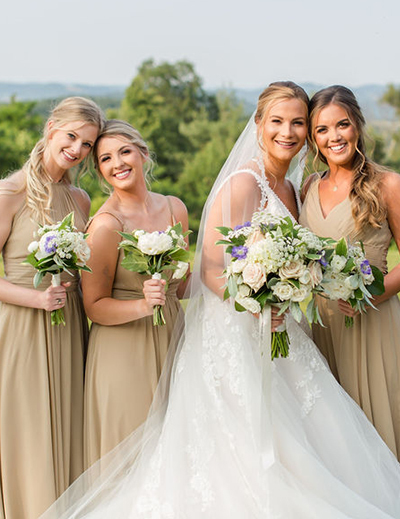 Our brand focuses on custom-made bridesmaid dresses, we believe bridesmaids deserve to feel beautiful alongside the bride, so our extensive collection of bridesmaids dresses and tons of color options make it easy to shop, you can choose them at will to match the overall tone of the wedding scene. Different from traditional clothing retailers, we adopt online sales model, so we aim to serve customers, we try to reduce the cost of all middlemen and bring the best products to customers at the most affordable price. The best quality, the most elaborate design, the lowest price have always been the purpose of our brand. If you have any questions or concerns about our platform, please feel free to get in touch with us by e-mail. Note: Some styles have ease added for your comfort. If you are in between sizes, it is suggested to call and speak to a stylist or order the dress in custom size. Babaroni.com focuses on providing excellent products and creating enjoyable shopping experience to our customers. Our Return and Cancellation Policies were created to help customers to handle all kinds of return cases. If you can’t find the answers to your questions from our Return and Cancellation Policies on this page, please email to [email protected] and our service team will reply to you within 24 hours. Babaroni.com promise you are qualified to get a full refund including shipping cost and tariff if your dresses are defective, damaged or miss-shipped. If your dresses were damaged or defective, please contact our customer service team for help. If you are not satisfied with your dress, Babaroni.com will refund you the total payment you paid upon receiving the returned dress. Shipping cost or rush handling fee can not be refunded. Please contact us in 5 days as long as you receive it and return it in 15 days. And the dresses must be in their original conditions - unworn, unwashed, unaltered and with tags intact and attached. When we find that the dress does not meet these conditions, we reserve the right to refuse the return. Please note that even if our dresses are in standard sizes, they are made according to the orders. We do not provide the try-on service. If you purchase more than one piece just to try on and prepare to return, sorry we do not accept this method. If we check that you have purchased more than one dress of the same size or the same color, we will confirm with you by email, once confirmed that you want all the dresses, we will not accept the return of this order. No return or exchange for customized size. Because it is custom made according to your body measurements. The dress can no longer be sold to others again. We strongly suggest you double check your size. Before ordering, please check “How to choose a dress in custom size”. 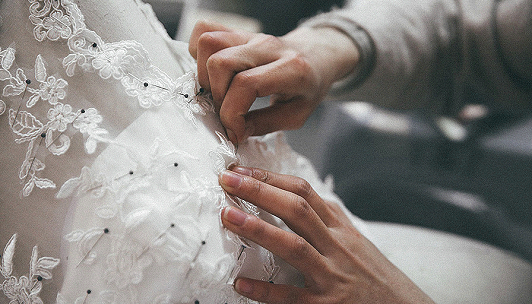 Custom dresses are made specifically to the measurements you provide (bust, waist, hip, height, and hollow-to-floor). That means no one else will be able to wear that dress once it’s completed. Because of this, we are unable to accept returns on custom size dresses. So sorry, Make sure you triple check all your measurements and color choice! No return for accessories, swatches. Wedding accessories such as ties, bow ties, pocket towels etc. cannot be returned. Because the color of the accessories is customize according to your choice and can not be resold. Currently we do not offer an exchange service for any products.Because our dresses are custom-made according to the order, we don't have ready-made dresses to replace the dress you want to return. You have to return the dress you ordered (subject to the conditions in the return policy) and place a new order for the dress you want. Previous promotional pricing or discounts used when ordering the original order cannot be used in the new order and we will give you a refund at the previous promotional price. 1.Email our Customer Service: [email protected] within 3 days upon receiving your order. Please send us an explanation and photographs to state the reason for your return. We reserve the right to refuse returns without prior approval from our Customer Service. 2.Once you received the reply from [email protected], it means your request of return has been approved. 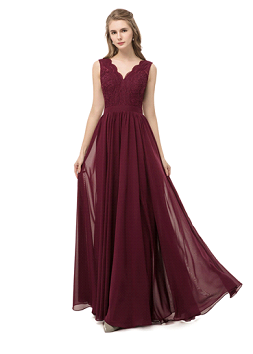 Please return the dress to us with the address we provided ASAP (3-7 days). This information must be written and sent to us with the package: Order Number/Email/Full Name. This is very important for us to recognize your package. We are not able to arrange refund without this information. 3. All the dresses that be returned must be checked. We will process the refund when we confirm that the product has the problems you mentioned. Once the refund has been processed by us, it usually takes 10-15 business days for the money to get back to your account, depending on your bank or payment service. Your bank or payment service may levy a small transaction charge. 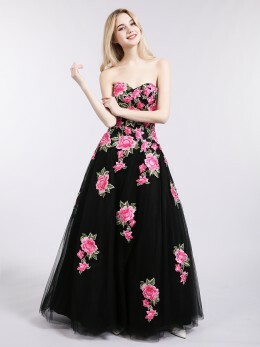 Once receive the return dresses, we will check and deal with the refund in 3 to 5 business days. We reserve the right not to process the refund if they are returned in unacceptable condition. Refund would get back to your account in 2 business days, it also depends on the processing efficiency of your bank. The USA and Canada: 2-3 days, other countries in North America 4-6 days. Australia and New Zealand: 3-4 days, other countries in Oceania: 5-6 days. East Asia and southeast Asia: 2-4 days, other Asian countries: 4-7 days. Island countries on the ocean: 4-8 days. The above days are all working days, during the major holidays, the number of airport freight will increase and the transportation will be delayed. 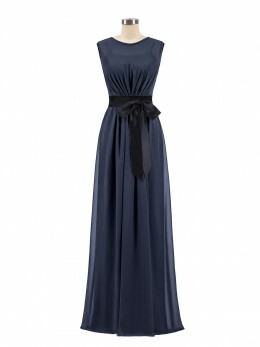 If you need this dress urgently, please contact us in advance and inform us of the date you need. We will arrange it for you as soon as possible. Our shipping costs depend on the total amount of your order and the country the dresses will be shipped to. We do not reimburse the customs duty charged by the country in which the customer is located. If there is a possibility that your country will charge customs duties, please state when you reply the confirmation email. If there are any customs duties, please bear them by yourself. 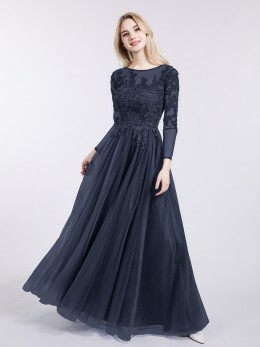 Mother of the bride dresses: 2-3 weeks. The delivery time of accessories and swatches depends on our inventory and they can be shipped within 24 hours when we have sufficient stock. After you understand the information above, you will better know how long it takes to get a dress. So we suggest you to write a note or send us an e-mail to inform us the date you want when you place an order. 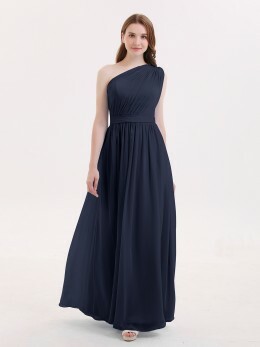 Then we can arrange the production better, and let you receive the dress as soon as possible. Note: The color of the dress displayed on your computer or mobile-phone may be slightly different from the actual color, this is the problem of display equipment. 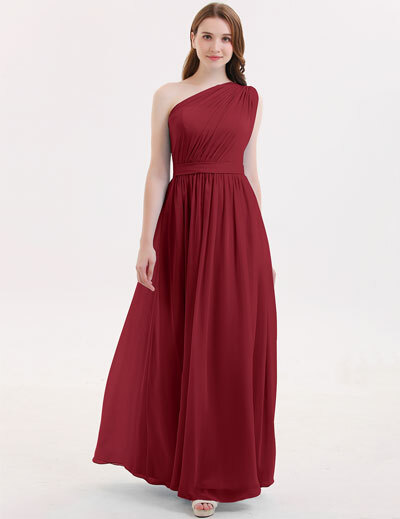 So if you want to order the bridesmaid dresses in bulk, we recommend you to order our swatches and fabric samples to ensure that the colors of the dresses you finally receive are which you want. We can offer you the service of rush order for some styles, select the earliest date which you can choose on our product page. 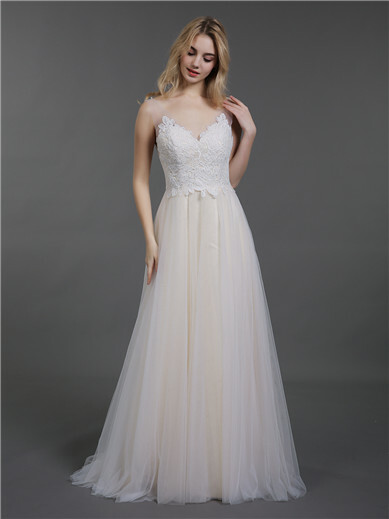 When the date you choose is very early, the system will calculate the extra charge for your dress automatically and has an obvious sign at the checkout page. But we will give you a 5% discount if you actually receive the dress on a very late date. We hope you do that. Placing an order earlier not only ensures that you have enough time, but also allows us to do it better. Welcome to Babaroni.com. Please review the following basic terms and conditions that govern your use of and purchase of products from our Site. Please note that your use of our Site constitutes your agreement to follow and be bound by these terms and conditions. Company Address: Room 1101，1102，1103，1104，No.756 Jiangxing Road Suzhou. All comments, feedback, suggestions, ideas and other submissions disclosed, submitted or offered to Babaroni.com on or by this Site or otherwise disclosed, submitted or offered in connection with your use of this Site (collectively, "submissions") shall be and remain Babaroni.com's property. Such disclosure, submission or offer of any comments shall constitute an assignment to Babaroni.com of all worldwide rights, titles and interests in all copyrights and other intellectual properties in the comments. Babaroni.com will own exclusively all such rights, titles and interests and shall not be limited in any way in its use, commercial or otherwise, of any comments. You agree that no comment submitted by you to the Site will violate any right of any third party. You further agree that no comment submitted by you to the Site will be or contain libelous or otherwise unlawful, abusive or obscene material. You are and shall remain solely responsible for the content of any comments you make. To the extent that this Site contains links to outside services and resources, the availability and content of which Babaroni.com does not control, any concerns regarding any such service or resource, or any link thereto, should be directed to the particular outside service or resource. We stand by our guarantees. However, except as expressly stated in our guarantees, this site and all contents of the site are without warranties, either expressed or implied, including without limitation warranties of title or implied warranties of merchanability or fitness for a particular purpose. You acknowledge, by your use of the site, that your use of the site is at your sole risk, that you assume full responsibility for all costs associated with all necessary servicing or repairs of any equipment you use in connection with your use of our site, and that Babaroni.com shall not be liable for any damages of any kind related to your use of this site. This agreement is effective unless and until terminated by either you or Babaroni.com. You may terminate this agreement at any time. Babaroni.com also may terminate this agreement at any time and may do so immediately without notice, and accordingly deny you access to the Site, if in Babaroni.com's sole discretion you fail to comply with any term or condition of this agreement. Upon any termination of this agreement by either you or Babaroni.com, you must promptly destroy all materials downloaded or otherwise obtained from this Site, as well as all copies of such materials, whether made under the terms of this agreement or otherwise. Babaroni.com can not be held responsible for any additional charges such as taxes, duties, tariffs, or brokerage fees that may apply to international orders. To find out which if any of these may apply, please contact your local government. www.Babaroni.com is aware that the security of your private information from the use of our website is an important concern. We take the protection of your personal data very seriously. Therefore we would like you to know what data we maintain and what data we discard. With this privacy notice, we would like to inform you about our security measures. Upon your request, we will (a) correct or update your personal information; (b) stop sending emails to your email address; and/or (c) disable your account to prevent any future purchases through that account. You can make these requests at the customer information section, or by telephoning, or emailing your request to Babaroni.com’s Customer Support department at [email protected] Please do not email your credit card number or other sensitive information. (3) Customer preference cookies – when you are browsing or shopping on BABARONI, these cookies will remember your preferences (like your language), so we can make your shopping experience as seamless as possible, and more personal to you. By using our site, you agree to us placing these sorts of cookies on your device and accessing them when you visit the site in the future. If you want to delete any cookies that are already on your computer, the “help” section in your browser should provide instructions on how to locate the file or directory that stores cookies. Please note that by deleting or disabling future cookies, your user experience may be affected and you might not be able to take advantage of certain functions of our site, and the complete BABARONI user experience that we pride ourselves on providing our customers.